This is the key to accepting criticism, even when it stings. 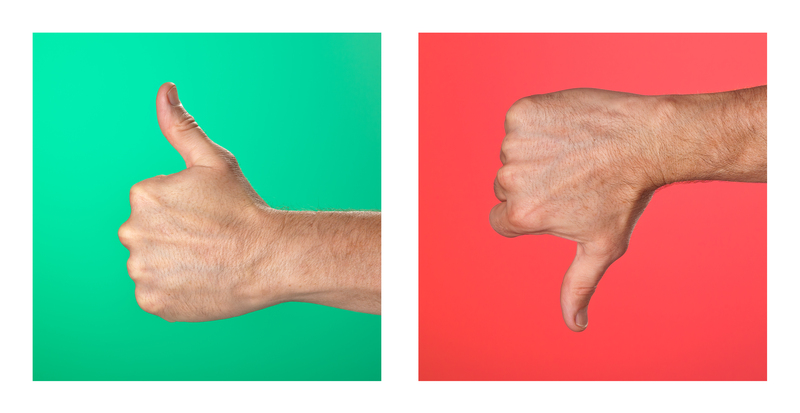 Have you ever felt devastated after receiving unexpected negative feedback? It can be a challenge to detach from constructive criticismwhen invested in one’s work performance. Learning to take criticism professionally, not personally, is a skill most of us could improve. Here are some helpful ways you can effectively accept criticism even when it stings. Having your work performance critiqued can be uncomfortable. Believe it or not, this discomfort is often a sign of growth. Before letting emotions take control of your thoughts, think through the words you are hearing and look for truths. If the criticism is fair, challenge yourself with new goals to make improvements. Our minds tend to exaggerate criticism. Have you ever read a harsh tone in an email not intended by the sender? We often hear judgments someone didn’t make. Next time you receive a piece of demoralizing feedback, pause and reflect. Don’t let a critique be the basis for unhealthy thoughts about failure or not being liked or appreciated. Instead, make a habit of detaching yourself from the personal feelings that arise. Retrain your brain to take criticism differently. This will take practice but will lead to better self-esteem and healthier professional relationships. In very competitive environments, it isn’t always easy to exercise humility. One needs to exercise balance between being humble and being a pushover. Taking full accountability for mistakes is important and leads to personal growth. Instead of playing blame games, commit to personal development, and acknowledge your shortcomings. Being humble, teachable, and expressing thanks for constructive feedback, will serve you better than getting defensive or argumentative. We live complicated lives. You might not realize your boss has a dying mother, or your co-worker is going through a terrible divorce. When people snap at you, make rude remarks or offer destructive criticism, it is often a reflection of the person’s emotions and not how they feel about you. You will not always have access to the bigger picture; it is important not to internalize when people express themselves poorly. Emotions are often not rational. While you have no control over someone else’s bad day, you can recognize they are having one, and do your best to be respectful of their feelings. Take a moment to record notes about criticisms you receive, followed by a plan about how to improve. Writing out feedback and an action plan helps us to detach from the emotions we feel when we receive criticism. Keeping a written record of your feedback is a great way to track your development. It also provides information about how you’ve navigated past working relationships or mastered difficult tasks. As much as we prefer to avoid criticism, it is important to realize the intent of the feedback. When we accept that constructive criticism is meant to help, not hurt, we can have a healthier relationship between ourselves and our work. I encourage you to retrain your brain to view criticism holistically, not personally, in order to further your personal growth and development.